We help military service members, veterans and their families protect their assets, plan for the future, and prosper in a trusted marketplace. We believe that supporting financial readiness helps protect military consumers so they can continue to serve and feel confident in a trustworthy marketplace. In-person workshops on scams, ID theft and investment fraud. Tips and articles on how to spot signs of a scam and take action. Crowd-sourced scam empowerment tool, BBB Scam Tracker. 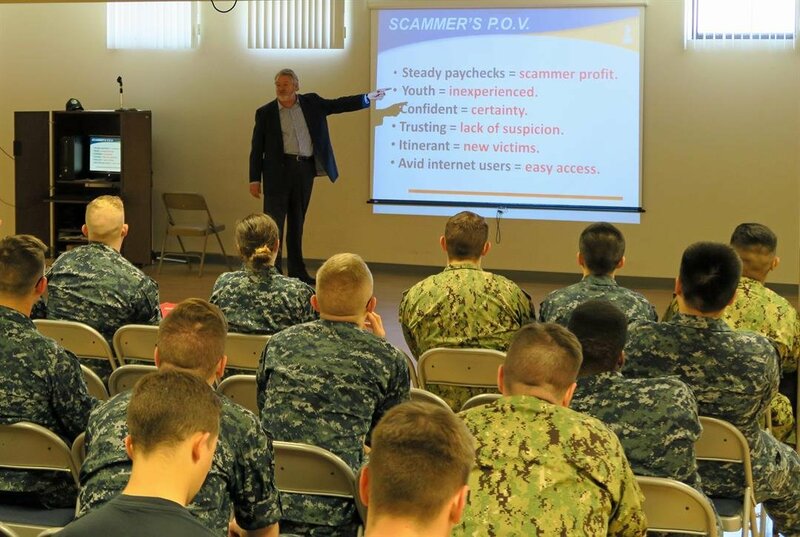 Monthly e-newsletter featuring “how to” articles on avoiding scams and taking control of their finances (distributed to 16,000 military and veteran subscribers). Workshops and presentations offered by BBBs across the nation on buying a car, buying a home, investing for retirement and planning for higher education. Tips and articles on how to protect assets and save for the future. Resource list of financial readiness partners that serve military and veteran communities. 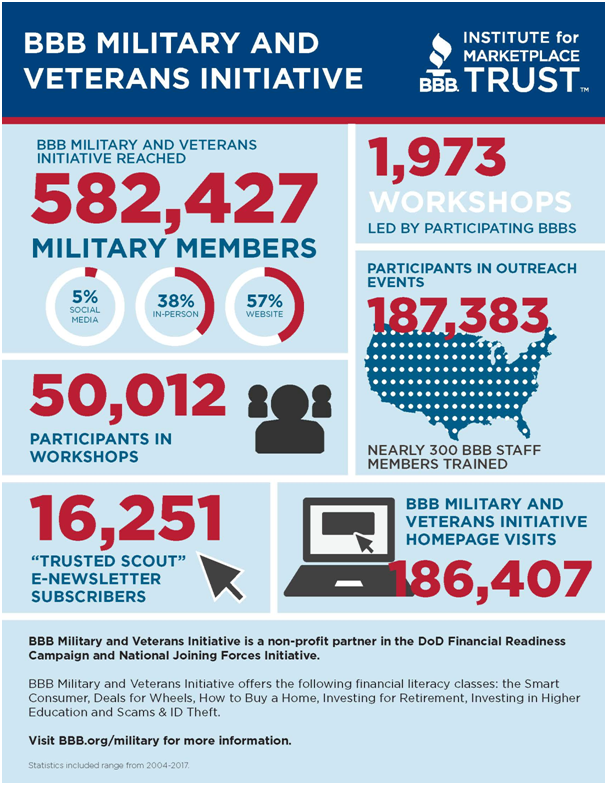 At-a-glance list of BBB services for military consumers that help them make the most of their resources and feel confident in the marketplace. Resource list of additional organizations and partners that support the well-being of service members, veterans and their families.